The Boston Red Sox visit Yankee Stadium on Tuesday, June 6, 2017 to play the New York Yankees. The probable starters are Drew Pomeranz for the Red Sox and Masahiro Tanaka for the Yankees. The opening line for this matchup has Boston at +113 and New York at -123. The Red Sox have a 26-28-2 over/under record and a 29-27-0 run line mark. The Yankees are 34-20-0 against the run line and have a 30-24-0 over/under record. The Red Sox have a 31-25 overall record this season. Starting pitcher Drew Pomeranz has a 5-3 record with an earned run average of 4.24 and a WHIP of 1.33. He has 64 strikeouts over his 51 innings pitched and he's given up 51 hits. He allows 9 hits per 9 innings and he has a FIP of 3.58. The bullpen has an earned run average of 2.98 and they have given up 138 base hits on the year. Teams are hitting .222 against the bullpen and they've struck out 175 hitters and walked 51 batters. As a team, Boston allows 8.6 hits per nine innings while striking out 9.7 batters per nine innings. They are 6th in the league in team earned run average at 3.84. The Red Sox pitchers collectively have given up 479 base hits and 213 earned runs. They have allowed 68 home runs this season, ranking them 17th in the league. Boston as a pitching staff has walked 136 batters and struck out 539. They have walked 2.5 men per 9 innings while striking out 9.7 per 9. They have a team WHIP of 1.23 and their FIP as a unit is 3.56. As a team Boston is hitting .267, good for 3rd in the league. The Red Sox hold a .411 team slugging percentage and an on-base percentage of .340, which is good for 4th in baseball. They rank 8th in MLB with 9.1 hits per game. Mitch Moreland is hitting .263 with an on-base percentage of .361. He has 49 hits this season in 186 at bats with 28 runs batted in. He has a slugging percentage of .446 and an OPS+ of 113. Mookie Betts is hitting .264 this year and he has an on-base percentage of .343. He has totaled 57 hits and he has driven in 33 men in 216 at bats. His OPS+ is 112 while his slugging percentage is at .468. The Red Sox have 509 hits, including 105 doubles and 53 home runs. Boston has walked 200 times so far this season and they have struck out 379 times as a unit. They have left 383 men on base and have a team OPS of .751. They score 4.84 runs per contest and have scored a total of 271 runs this year. New York has a 32-22 overall mark this year. With an earned run average of 6.34, Masahiro Tanaka has a 5-5 record and a 1.53 WHIP. He has 56 strikeouts over the 61 innings he's pitched. He's also given up 76 hits. He allows 11.2 hits per nine innings and his FIP stands at 5.18. The bullpen has an earned run average of 3.06 and they have given up 126 base hits on the year. Teams are hitting .198 against the Yankees bullpen. Their relievers have struck out 195 batters and walked 66 opposing hitters. As a team, New York allows 8 hits per nine innings while striking out 9.3 batters per nine innings. They are 4th in the league in team earned run average at 3.76. The Yankees pitchers as a team have surrendered 431 base knocks and 202 earned runs this season. They have given up 63 home runs this year, which ranks 20th in Major League Baseball. New York as a staff has walked 159 hitters and struck out 500 batters. They give up a walk 3 times per 9 innings while they strike out 9.3 per 9. Their team WHIP is 1.22 while their FIP as a staff is 3.76. As a team, they are batting .265, good for 7th in the league. The Yankees hold a .453 team slugging percentage and an on-base percentage of .341, which is good for 3rd in baseball. They rank 3rd in MLB with 9.3 hits per contest. Aaron Judge comes into this matchup batting .324 with an OBP of .429. He has 60 hits this year along with 41 RBI in 185 AB's. He maintains a slugging percentage of .681 with an OPS+ of 190. Starlin Castro is hitting .315 this season and he has an OBP of .352. He has collected 69 hits in 219 at bats while driving in 31 runs. He has an OPS+ of 122 and a slugging percentage of .489. 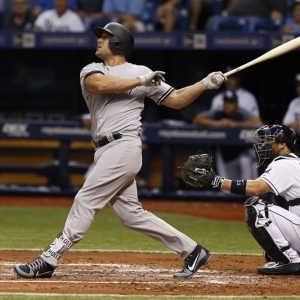 The Yankees as a unit have 500 base hits, including 89 doubles and 84 homers. New York has walked 207 times this year and they have struck out on 486 occasions. They have had 394 men left on base and have an OPS of .794. They have scored 5.44 runs per game and totaled 294 runs this season.